PRO-FORM is committed to seeking designs, materials and processes that are sustainable and better for our environment. PRO-FORM’s lean manufacturing programme PROMAX helps us minimise waste wherever we can. Because many of PRO-FORM’s manufacturing inputs come from non-renewable sources, we are committed to using recycled materials and reusing all internal by-products, which can be easily achieved as we thermoform our own plastic sheet. We actively seek opportunities for end-of-life recovery and if you have any ideas or proposals regarding sustainability products, please contact us, we’d love to talk. 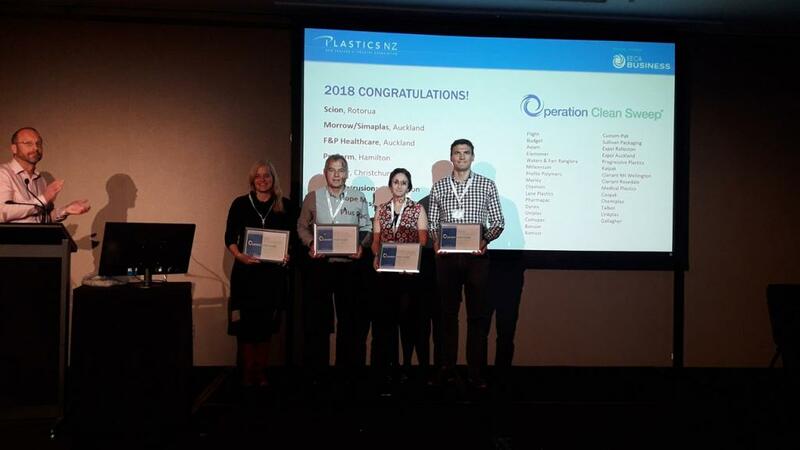 In May 2018, PRO-FORM received an award from Plastics New Zealand for adopting the Operation Clean Sweep programme. This award is an initiative which rewards companies who have been recognised to pro-actively eliminate plastic waste going into waterways by installing plastic grain filters in all onsite drains. The plastic grains which get caught in the filter can then be cleaned and recycled.